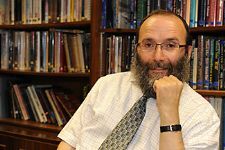 Nearly killed by terrorists, Rabbi Aryeh Sufrin of London dedicated himself to helping drug addicts, including Muslims, writes Aidan Jones of the CS Monitor. Picking his way through the smoke-filled London Underground and beyond the mangled subway car, Rabbi Aryeh Sufrin was unsure of what had just happened. Only later, when the news bulletins revealed that the explosion had been caused by a suicide bomber, did he begin to understand. It was July 7, 2005, the day that four Muslim extremists detonated backpacks filled with explosives on London's public transit system, indiscriminately killing 52 commuters. "The carriage [the bombers were in] was just one in front of me. What if the guy had seen me when he was getting on?" the Rabbi asks. "Would he have chosen my carriage? Would he have stood next to me?" Determined not to retreat into what he calls the "paranoia attached to the Jewish experience," Rabbi Sufrin set about doing his part to bridge the divisions cleaved that day. As he sips herbal tea in his compact office at the Chabad Lubavitch Centre – spiritual home to local Hasidic Orthodox Jews – the rabbi explains his reasoning with beguiling simplicity. The center is in Gants Hill in east London, a sometimes scruffy London suburb home to an estimated 15,000 Jews and 30,000 Muslims. "If [a bombing] can be someone's message in evil, then we have to find the opposite in good," he says. He didn't have to wait long to try to rebalance the equation. A Muslim man in his 20s, racked by heroin addiction, appeared at the center's door. Desperate to quit his habit, he had sought out Drugsline, an addiction support group founded by Sufrin 18 years ago and housed in the building. A Muslim who would cross the religious divide was unusual. But to seek help for drug addiction – a taboo among both the Jewish and Muslim communities – was a first. "He knew the consequences of telling his imam – just as Jewish kids know that most synagogues will stigmatize them rather than help. He had nowhere else to go," says the rabbi in a characteristic punchy burst. "The similarities between our peoples are striking. Some parts of both our communities are very insular and will not face up to the trials of the modern world. But drugs don't care for religious distinctions: If you are Jewish or Muslim and have a drug problem, you are likely to face [ostracism] from your family and community. It cannot be right to abandon people when they most need help." To those who know him, Sufrin's response to the young Muslim was entirely predictable: He opened the door and offered the same crisis intervention, advice, and counseling he has offered to Jews since 1990. What came next was less expected. Procuring a £115,000 ($190,000) grant from the local government council, and with the support of a progressive local Muslim imam, Haroon Patel, the diminutive rabbi launched a ground-breaking interfaith drugs project. Dubbed "Joining the Loop," it provides advice in Bengali, Urdu, and Gujarati – three languages spoken by Southeast Asian Muslims – and crisis support to Muslim addicts and their concerned families with nowhere left to turn. Several local mosques agreed to promote Drugsline's services – a step that itself was remarkable, given the enmity and mutual suspicion between the two faiths. But taboo-busting is nothing new to Sufrin. His more than 18 years of drug rehabilitation work has been showered with criticism from sections of the Jewish community – which even bestowed him with the not entirely playful moniker of the "Drugs Rabbi." But Sufrin remains sanguine in the face of his doubters. "Nobody from a 'good Jewish family' talked about drug addiction," he explains. "It happened to someone else's kids. "That picture has changed quickly, and more and more teenagers are at risk of falling into drug use, even from the ultra-Orthodox families – whether they choose to see it or not. I hope we are softening attitudes with our work." Each year about 1,000 drug users and their families contact Drugsline for advice on how to handle addiction. Most are Jewish and drawn by Drugsline's reputation for compassion. How drugs wriggled their way into these close-knit, self-reliant communities has not been widely explored. But the rabbi speculates that large families, restrictive traditions, and a ghettolike mind-set have contributed to deep identity tensions among some youngsters. "They live in a very different modern world [from] their parents and struggle to define themselves," he says. The use of cocaine, in particular, has grown in that uncertainty. Drugsline's weekly Cocaine Anonymous group therapy sessions draw between 15 and 20 youngsters at a time. Recognizing the risks facing pupils, dozens of local schools have taken up drug-prevention courses and hosted talks by Drugsline's outreach workers. Last year the charity spoke to more than 42,000 pupils across east London. That's an impressive statistic for a self-funded charity started in the back office of a local synagogue. "What he has achieved is nothing less than remarkable," says Lee Scott, a member of Parliament for the neighboring constituency of Ilford North. "It's been humbling to watch Aryeh's energy, charisma, and dedication to tackling drug addiction, often against great opposition. He is an extraordinary man." Last June, those energies were rewarded by Queen Elizabeth II, who honored Sufrin with an MBE (Member of the Order of the British Empire), given annually to outstanding community leaders. Still, much more needs to be done, he adds. He wants to build on the center's interfaith drug-fighting work and extend its services across London. His bold vision may be tempered by financial realities. A smile peeks through his wiry beard as Sufrin tips his kippah back on his head and reflects on the difficulties of fundraising during a recession. "People are feeling poor, and that effects our finances," he says. "But who said the world was supposed to be easy?"